The RMG industry is the backbone and motor of Bangladesh’s economy. This industry developed rapidly over the past 30 years by taking advantage of the favorable trade quotas granted to Bangladesh by the international “Multi-Fiber-Agreement” (MFA). In addition, low labor costs have always been one of the competitive advantages for Bangladesh garments in the global sourcing market. Today, Bangladesh is the seventh largest RMG exporter in the world. About 4,200 apparel factories export garments worth nearly US$ 10 billion, contributing more than 75% to Bangladesh’s total export earnings. The industry provides direct employment to over 2.3 million workers – mainly women – and indirectly supports the livelihood of about 20 million people. Since the abolishment of the MFA in 2005 the RMG sector in Bangladesh faces much stiffer competition. Garment prices have been falling by as much as 10% annually over the last three years. On the other hand, increasing production costs are putting the industry in a very precarious economic situation. In addition, the pressure from buyers has been increasing, demanding from suppliers’ full compliance with internationally recognized social and environmental standards, quality products and short and reliable delivery schedules. The core problem is that under such conditions a significant number of the factories are not fit enough to survive in the global market. I have prepared this report mainly based on practical field work method with the involvement of regulatory process related with compliance activities because. Different data used in this report were collected from different secondary sources. The phase-out of Kims Corporation has important implications for all agents in the value chain including apparel manufacturers, exporters, importers, retailers and consumers. This has made possible for apparel manufacturing and exporting countries to operate without the restrictions of the quota; has provided importers an opportunity for open sourcing and retailers to take advantage of competitively priced supply; and provided broader choices and lower prices to consumers. 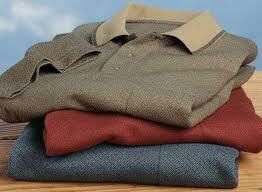 As a result global export of textile and apparels has substantially increased. Internship is the last part of my BBA course Without completion of internship report I cannot be able to complete my BBA course. This report is a collection of the information which I collected and the impression I received through my internship period from the activities of Kims Corporation Ltd. My selected topic is compliance Governments policy regarding readymade garments policy in Bangladesh. The development of proficiency is a long process, during which theoretical, practical and Metacognition elements of expert knowledge are integrated into a logical whole. It is important to foster student’s learning and integration of theoretical knowledge in practice during education period. One tool for this is to pay more attention to practical knowledge in the theoretical part of the curriculum. The aim of this study is to evaluate the significance of my practical knowledge. This report will cover compliance overview of Kims Corporation. It give a wide view of the context of financial services, environmental issues, fire activities, health, hygiene and welfare the most important compliance rules come from GFA. Most large financial services have Compliance teams whose role is to take an independent stance in making sure that the company is following all the necessary rules and regulations. As a student of BBA, this study will be more significant in my practical life. I have work for three months at Kims Corporation to complete the internship program as an academic requirement. The general objective of the report is to understand about the “Compliance of Government Policy by Readymade Garments of Bangladesh – A study on Kims Corporation Ltd”. To identify the benefits provided to the workers. The rules and regulation of readymade garments according to Bangladesh governments. From my educational background I have different methodology in research process. Therefore, in this study I had the opportunity to implicate my knowledge in practical field. I have collected data from many sources. This is based on Descriptive Research. In preparing this report, both primary and secondary sources of information have been used. This study used mainly secondary sources of data. I have also collected some published and unpublished data, research reports, related books, journals and articles, to fill up the information gap. Both primary and secondary sources of information were being perused with regards to the presentation of the study. Direct communication with the client. Exposure of different desk of the garments. In this study the population was all the workers. The sample element of my study is people who are working as labour in this garments factory. In this statistical practice my sample frame was register book of labour. For collecting some crucial information I needed some lower level worker who can provide me proper information. That’s why sample size is small. I choose 20 males and 10 female labour of Kims Corporation Ltd.
Then data were classified, analyzed and interpreted. On the basis of the information and my observation the report is made. Time constraint was a barrier in this study. So I cannot able to conduct with all function within available time. Lack of sufficient and update information of KCL website. Every organization has a common secret strategy of secrecy. So the authority hesitates to disclose the important information to maintain business secrecy. The employee are always busy on there tremendous workload. So they could not extent there cooperation properly. Kims Corporation is a Knit printing and swing, Woven dyeing, and garments – under ONE roof Equipped with top-of-the-line production facilities. Our painstaking efforts to reengineer each steps of Kims value chain—procurement, production process & planning, workforce productivity & efficiency, technologies—and turned them into core. The Company is well reputed in both the sectors for the efficient management, high standard of performance and attaining the satisfaction of its principal and clients. The group started its journey in 2005, immediately after the foundation of the Republic of Bangladesh and nearly for three decades, it grew steadily and the Company diversified its scope of work, encompassing more and more areas within its business and trade activities. The Director of the company. The executive and staff of the companies are highly professional and motivated to the work they are assigned with and under the supervision of respective Director; they work in a team to accomplish the job. The experiences of three decades and adoption of modern outlook and technological advantages, the Company has been able to mark its presence effectively felt in the business circle of the country. The above factors were responsible for our business connections around the globe. We have developed business relationship with different companies spreading over almost all continents. The Chairman and CEO of the company is Mr. Han Jin Kim, who brings with him the experiences of three decades in the fields of trade and external commerce. He is a versatile man with vision and is the driving force of the company. The operation department of the company is headed by Executive Director Mr. Kanchan Kumar Barua. He has with him years of experience and expertise to market such product in Bangladesh. He has excellent public relations and business contacts. Transport and Logistics: We will Provide Transport. Bossini, Corona, Celio, Benitton, Old Navy. 48000 sqf. Kims Corporation Ltd.
16, sutar Noardda, Arapara, Savar, Dhaka-1340, Bangladesh. Improve the skill levels of garment workers, especially women. These three areas are interlinked and thus are addressed simultaneously. The bulk of the available resources are used to improve social compliance and productivity level. The plan is to categorize all factories in four groups, according to their current social compliance and productivity status, and upgrade them as quickly as possible starting with the worst cases and those who are most interested in the cooperation. Another priority area is to support the government in implementing the national labor law through awareness raising, advocacy and monitoring activities. The program will strengthen the performance of main stakeholders involved in the development of the RMG sector including workers, professionals, managers, suppliers and buyers. Through technical and social skill enhancement activities, such as trainings, individuals will be enabled to better perform their work and exercise their social duties. Parallel, the program will strengthen and support all relevant RMG organizations such as NGOs, trade unions, entrepreneurs’ associations (BGMEA and BKMEA), training institutes and relevant government ministries. Developing these organizations means improving their service capacity but also their organizational and leadership culture. For this purpose, physical and personnel upgrading measures will be implemented according to needs. The program’s implementation approach, in principle, builds upon projects which are currently being implemented successfully by various development partners e.g. GTZ, SEDF, UNDP, UNIDO, Oxfam, etc. The activities of these projects will be up-scaled in order to have a much wider area and factory coverage. MFB’s main task is to monitor and evaluate program activities and implement program components in absence of competent partners and if administratively and financially justified. A more detailed overview regarding program objectives and indicators is shown in the attached log frame. The simplest definition of compliance is observance, conformity, and obedience. In business, compliance generally designates the requirement to adhere to certain rules/laws, meet certain standards, and follow certain practices. Compliance standards can originate from external as well as internal sources. A compliance requirement may be mandatory or optional. Understanding the origin of compliance requirements enables appropriate prioritization and risk management. Compliance requirements that your organization must adhere to may be based on your ownership structure, management practices, locations, and the markets in which you wish to participate, as well as your specific industry, customer, and vendor affiliations. Later in this document we will explore the sources of compliance requirements and provide public domain references to assist you in researching their specific requirements. If you look at your business practices, you will see that many standard operating procedures exist to satisfy the compliance requirements of all the entities, internal and external, with which the organization interacts. How do all of the compliance requirements get managed within the operational structures of the organization? How are business structures and operating practices enhanced when adopting compliance practices while maintaining profitability, market share, and organizational agility? The state of being in accordance with the relevant Federal or regional authorities and their requirements. In the context of financial services, the most important compliance rules come from the Securities and Exchange Commission. Most large financial services companies have compliance teams whose role is to take an independent stance in making sure that the company is following all the necessary rules and regulations. Bangladesh is a priority partner country for German Development Cooperation; cooperation between the two countries began more than three decades ago. Technical cooperation concentrates largely on the Bangladeshi economy and social structure which, despite unfavorable framework conditions and problems, give hope for the long-term development of the country and an improvement in the economic situation for large parts of the population. The main problems in Bangladesh are scarce resources, natural disasters, a rigid and to some extent arbitrary bureaucracy, over-population and the poverty which this causes. Around 50 percent of the population lives below the poverty line. The Ready-Made Garments (RMG) industry occupies a unique position in the Bangladesh economy. It is the largest exporting industry in Bangladesh, which experienced phenomenal growth during the last 20 years. By taking advantage of an insulated market under the provision of Multi Fiber Agreement (MFA) of GATT, it attained a high profile in terms of foreign exchange earnings, exports, industrialization and contribution to GDP within a short span of time. The industry plays a key role in employment generation and in the provision of income to the poor. Nearly two million workers are directly and more than ten million inhabitants are indirectly associated with the industry. Over the past twenty years, the number of manufacturing units has grown from 180 to over 3600. The sector has also played a significant role in the socio-economic development of the country. The Agreement on Textile and Clothing (ATC) introduced in 1994, aimed at bringing textiles and clothing within the domain of WTO rules by abolishing all quotas by the end of 2004. It provides an adjustment period of 10 years, so that countries affected by the MFA could take the necessary steps to adjust to the new trading environment. Liberalization of trade following the Uruguay Round agreement presents opportunities as well as challenges for a developing country like Bangladesh in RMG sector. In the Post-Uruguay Round period, traditional instruments of trade policy such as tariffs, quotas, and subsidies will become less feasible and less relevant. In a liberalized trade regime, competition among textiles and clothing exporting countries is likely to become intense. The objective of this paper is to identify the prospects of RMG industry after the MFA phase out by analyzing the current scenario along with different policy measures and the available options in order to be more competitive in the new regime. RMG business started in the late 70s as a negligible non-traditional sector with a narrow export base and by the year 1983 it emerged as a promising export earning sector; presently it contributes around 75 percent of the total export earnings. Over the past one and half decade, RMG export earnings have increased by more than 8 times with an exceptional growth rate of 16.5 percent per annum. In terms of GDP, RMG’s contribution is highly remarkable; it reaches 13 percent of GDP which was only about 3 percent in FY91. This is a clear indication of the industry’s contribution to the overall economy. It also plays a pivotal role to promote the development of other key sectors of the economy like banking, insurance, shipping, hotel, tourism, road transportation, railway container services, etc. One of the key advantages of the RMG industry is its cheap labour force, which provides a competitive edge over its competitors. The sector has created jobs for about two million people of which 70 percent are women who mostly come from rural areas. The sector opened up employment opportunities for many more individuals through direct and indirect economic activities, which eventually helps the country’s social development, woman empowerment and poverty alleviation. Despite many difficulties faced by the RMG industry over the past years, it continued to show its robust performance and competitive strength. The resilience and bold trend in this MFA phase-out period partly reflects the imposition of ‘safeguard quotas’ by US and similar restrictions by EU administration on China up to 2008, which has been the largest supplier of textiles and apparel to USA. Other factors like price competitiveness, enhanced GSP facility, market and product diversification, cheap labour, increased backward integration, high level of investment, and government support are among the key factors that helped the country to continue the momentum in export earnings in the apparel sector. Some of these elements are reviewed below. Worldwide Responsible Apparel Production (WRAP). through periodic audits/ inspections. These inspections are carried out by buyers and/or third party auditors nominated by the buyers. BKMEA monitors provide advisory support to factory personnel so that they are able to implement the required, correct measures as stated in BLL 2006. Analysis is included with questioner, compliance tools and steps. Compliance requirements are nothing new to business. Customers, vendors, and governments have always provided businesses with standards for interaction. From tax reporting forms to how you place a label on a box for a customer, compliance requirements drive businesses to accomplish things in very specific ways. So, to really understand compliance requirements for your business you need only look around at the ways you accomplish tasks (especially repetitive tasks), communicate, and keep information, and then ask “Why?” The answers will point you to the source of a compliance requirement. Compliance requirement sources are not only external, for example from the government, customers, and vendors, but internal as well, from owners/management, investors, and other departments. Although the internal compliance requirements may not seem as pressing, they often provide the greatest business optimization opportunities. For example, management may require that along with recording a customer product return, a reason for the return must be recorded. External compliance requirement sources have the extra burden of often being mandatory, strict in implementation structure and reporting requirements, and typically have legal and financial implications. Recent focus on compliance has been with regard to external legal and financial compliance requirements originating from Government regulations. For example, by law, many public organizations had to rapidly implement Sarbanes-Oxley requirements. Within the private sector, pharmaceutical and food companies have long understood quality assurance and track and traceability requirements. The following information provides some direction to assist you in the finding, gathering, organizing, and documenting some of the government compliance requirements that are the most pressing and relevant to businesses today. With respect to building construction no factory can obtain membership without giving approved layout plan from the concerned authority. Mandatory Group Insurance for all workers & employees in each factory. Development of a Compliant Factory is largely dependent on the intention and capability of an owner. To convince owners and provide them updated information regarding world compliance scenario, Kims is going to arrange CSR seminars with the owners of the member factories. Nationally and Internationally reputed persons are being invited as guest speaker and open discussion sessions are being organized to encourage for making their factories socially compliant. The workshops will be organized in major zones where garments factories are mostly located. At first phase it will be held in Dhaka, Narayanganj and Chittagong. Kims is going to arrange trainings for owners and other top level management. The focus area of the training is social environmental compliance, productivity improvement included with work place safety. The training sessions will be both in Dhaka and Savar area where most of the factories are located. To create awareness on Compliance Kims has published handbook in local language on compliance issues, a number of posters and stickers .All the published materials have been distributed already to the member factories. Some other posters & Stickers on labor rights, responsibility of owner and environmental issue are going to be published soon. GTZ is helping the association to develop the upcoming awareness raising materials. Kims hopes that the publications on compliance will create awareness among the members and they will take serious initiatives to follow the rules mentioned here. The handbook has been titled as” Compliance & Relevant Laws: Guide Lines for Implementation”. The Book is in Easy Bengali for quick understanding of owners and labors. i To provide basic compliance knowledge and implementation procedure to the owners of the RMG factories specially working in the knit sector. ii To give a handy reference on crucial and frequently required parts of labor and industrial law of Bangladesh. iii Disseminate the information to the workers and raise their awareness level on social compliance, labor and industrial law through workshops, seminars and TV advertisements. iv Basic guide line for making a socially complaint factory. v Frequently required Factory and Labor laws. vii Guideline to make an environmentally sustainable knitwear factory. viiiThe work for publishing of ‘Revised Handbook including Labor Law 2006’ is going on and it will also be distributed to members soon. Occupational Health & Safety (OHS). The company does not practice any type of forced labour and also does not support such practices. As per company policy, no individual below 18 years of age is recruited. KCL employ and pay workers and provides benefits without regard to race, color, nationality, religion, age, maternity or marital status. Kims Corporation Ltd. Ensures equal treatment for all workers in all matters. Kims Corporation Ltd treats all workers with respect and dignity and provides them with a safe and healthy environment. Factory complies with all applicable laws and international standard and RMG industry standards of safety measurement to ensure a safe working environment. It developed a complete trained safety team supervised by MR to ensure the secured safe and healthy working environment in factory premises. Company directly mandates the provision of safe working conditions. It ensures that working place is free from hazards and risks that may cause any type of physical harm. As a company policy the environment must be free of harassment, abuse or corporal punishment. KCL recognizes and respects the right of employees to exercise their lawful rights of free association, including joining or not joining any association. Workers are free to join associations of their own choosing. There is a Workers Welfare Committee (WWC) in KCL to look after the various benefits and problems both the workers and the management. Different floors employees are included in this committee. Welfare Facilities: Kims Corporation Ltd.
To provide the health care facility and instant emergency service the company has established a health care center. An M.B.B.S doctor along with two assistants including a nurse is available there. Workers are given here free service treatment including medicine facility. The Company has provided a suitable room for the use of children under the age of six of working women. There are two trained Care Mothers is available there. Noted here that PHULKI, an NGO is providing all kinds consulting support regarding day care center issue (Photo of day care centre). Two festival bonuses are given in two EID. The employee who is working at least six months is given to the bonus. An amusing program is held each year to give entertainment of the workers name “Anondo Ayojon”. Employers and workers enjoy the program together. Lunch room has been provided for workers. The room is for launch purposes only and the employees are requested to use the room accordingly and maintain the cleanliness of the room. Also rest room, drinking water and latrine facilities are available. As a company policy KCL is paying at least minimum compensation required by national law. Regarding working hour,KCL strictly maintains the national law. There are suggestion / complain box in each floor where workers may drop their vital suggestions or complaint which may enhance the company development. Other than the complain boxes the workers may also submit their written complaint directly to the HR department or may verbally inform. More over WWC members are actively involve regarding Complaint issues. All matters regarding complaint issues are handling with confidentially. Already established Effluent Treatment Plant (ETP). Identifying significance of Environmental aspects and associated Impact Analysis. Kims Corporation Ltd. always complies with custom compliance according to the customs act 1996. Kims Corporation always tries to maintain the rules and regulations in security compliance as per the national rules and buyers’ requirement. Kims Corporation Limited is collaborated with Marie Stops Clinic Society to ensure regular health care of all its employee & labour. Kims Corporation Limited is an extremely eco-conscious organization. The company ensures that only Azo-free dyes are used in the dying processes. The company stringently adheres to all pollution controlling norms and procedure. Kims Corporation Limited always promised to keep secure its member safety. And so here the management takes the highest effort in this subject. Fire Defense System is one of the key things among them. Here in Kims Corporation Limited. All the floor & compound are equipped with latest fire fighting equipment such as fire extinguisher, hose pipe, blanket etc. All the electricity cable is FRLS & XLPE insulated to avoid accidental electrical fire hazard. Regular fire evacuation drill provided to the employee to boost their confidence in handling fire. Kims Corporation Limited is involved directly & indirectly in much public welfare activates. Various mosques around the country run by its donation. Kims Corporation Limited. Establishes & run many educational institutes by its own finance. As an example we can name Pachrukih Madrasa. Besides serving official responsibilities Kims Corporation Limited also serve the social responsibilities to its members. In much case Kims Corporation Limited. Management help its employee in various activities like medical expenses, marriage ceremony, education etc by granting donation. Sometimes KCL attend in tree plantation activities to keep this world green. Every year Kims Corporation Limited arranges a cultural program for its entire employee to keep them happy and cheer up in all state, which make a bridge of friendship among all. “Anondo Aiojon 2003” is one of them. There were challenges in the past, and challenges will remain in future. However, they focus at least on sustaining the existing growth rate, if not targeting more. To become a $25 billion export country by 2013 the prime agenda. The reason behind labour unrest is not only the low wage structure, but also the hazardous working conditions, insufficient safety and security measures, inadequate break time, irregular payment, forceful overtime, and many other factors.KCL is speaking about enhancing labor productivity, but also recognize that productivity in our country’s apparel sector is low compared to neighboring countries. However, productivity will not increase if the garments do not take any aggressive measures to address the safety and security issues. The relationship between supervisors and workers plays a key role in terms of productivity enhancement and maintaining overall discipline in the work place. While the “boss and subordinate” relationship is important in every industry, in the apparel sector it plays a major role and sometimes influences negatively. Incidents of exploitation and harassment of the workers by supervisors are common phenomena in the apparel sector, and this is more applicable to the female workers. The reason behind this is that there is always a gap between the owners and the workers. Supervisors play a “middle man” role, and owners are influenced by them. The absence of job description, accountability and corporate governance hamper the worker-owner relationship. In KCL the relationship between is very good. In most cases, the management control of the factories is limited within the family members of the owners, and in many cases it is just a one-man show. As a result, the overall business suffers from key man risk as well as capacity constraints. The owners of the KCL try to make and develop a second-tier management team, especially in the large apparel corporate. Given the global dynamics, it is high time to implement corporate culture and practices in the apparel sector, which requires developing human resources, enhancing corporate governance, decentralizing decision making authority and empowering people. This will translate into enhancement of accountability and time saving and, more importantly, the second-tier management team can bridge the gap between the workers and owners, which will help further in improving industrial relationships and relieving the workers from harassment to a great extent. The problems in the industry pre-date the riots which took place just over a month ago and which were attended by deaths, injuries and the destruction of property. Over the years, hazardous working conditions have resulted in the deaths of many workers through factory fires and collapses. The Spectrum Factory building collapse of April 2005 killed 64 people, injured over 70 and left hundreds jobless. In February 2006 a fire destroyed the four-story KTS Textile Industries in Bangladesh’s port city of Chittagong again killing scores of mostly young and female workers. Workers, who are mostly young women, also face an acutely difficult working environment – wages are low, hours are long, forced labour is practiced, child labour exists, sexual harassment exists, freedom is curtailed, whether it be locked doors or rights of association, and there are a multisided of other practices which go against international labour standards and codes of conduct ( non-compliance). At the level of legislation and business dealings, lack of implementation of laws, restrictive laws and unfair buying practices by buyers compound the issue of non-compliance. This diagram shows that, 91% of the employees are agreed that there organization provide wages at a specific time which is comply with the government regulation of compliance. 2. Are you satisfied with the working environment? The major portion of the employee that means the 95% of the total employee is satisfied with the working environment.” And which is complying with Government policies. This diagram shows that, the garments performance is agree (100%).So, It can be said that, “their health consultation facilities are good enough.” And which is complying with Government policies. The major portion of the employee and workers wants to say that, the garments salary structure is good, which is (77%). And it complies with Government rules. 5. Did they provide you any extra benefit? This diagram shows that, the garments performance is disagree (33%). It can be said that, “they don’t gives everyone the extra facilities.” And which is complying with Government policies. The major portion of the employee and worker said that, the garments performance is agreed with (95%). And it complies with Government rules. 7. Do you think that the relationship between employee and workers is good enough? This diagram shows that, the garments workers agreed with (100%). So, It can be said that, “the relationship between Employees and the workers is good.” And it complies with Government rules. The 100% workers said that, the garments provided medical allowance monthly is strongly agree (50%). It can be said that, “Employee feels satisfied with the job.” And it complies with Government rules. 9. Do you get any house hold facility from your company? This diagram shows that, the garments lobour is agreed (68%). So, It can be said that, “Employees gets household facilities.” And which is complying with Government policies. 10. Did your company make insurance to the entire worker? The major portion of the labour agreed (82%). It can be said that, “The garments authority is able to satisfy their employee and lobour.” And which is complying with Government policies. They provide good job satisfaction to the employee and worker. Wages is comparatively good then other the similar garments. No such safety measurement arrangement for the garment workers. Labors are not aware about the health welfare, which is considered by governments. This company is politically empowered so they can have some extra benefit. Lack of proper written Documents on compliance, and they don’t have any marketing department. Physical infrastructures of the garment factory building is not well constructed, there space management is too congested, so the worker can’t move freely while they are working. Lack of knowledge and awareness especially about standards, codes, rules and regulations. What has emerged quite emphatically is that for the Bangladesh industry to survive it has to take on board the issue of “compliance” with internationally recognized social, labor and environmental standards. There are many initiatives underway – buyers have their corporate social responsibility initiatives, the government has set up task forces and foray, there are the Memoranda of Understanding with the trade unions and the manufacturers’ and exporters’ associations. There needs to be the capacity and will amongst all the stakeholders, and particularly the government, to take forward and develop “compliance” and create an industry with an enhanced global image and global recognition of performance. Compliance is a process. It’s a way of defining proper individual and group behaviors, and assuring that laws and policies are understood and followed. This means you must know the laws and develop appropriate policies in relation to these laws. Compliance also means you and your managers need to communicate these policies to the troops, along with your expectations for adherence and the consequences for non adherence. The latter requires specific investigative and punishment procedures. Effective HR compliance programs need to be integrated into your business strategies and given more than just lip service. Compliance has to start at the top and trickle down to all levels, so everyone in the company knows that the workplace must be kept safe and discrimination won’t be tolerated. HR laws change constantly. Kims Corporation must stay up-to-date on current laws, so they should establish appropriate policies and communicate with their employees. Kims Corporation should hire an HR staff with the experience and skills to support an effective compliance process. They should develop their handbook more that meets their initial needs. There lawyer should always review their handbook and any new policies before they implement them. Since they have the most significant day-to-day interactions with employees, review their policy manual with each manager. Make sure they understand that they must uphold expected standards and be role models for other employees / lobour. Listen to employees / lobour, and listen to their internal and external experts. Together these can help to get the root of compliance risks, help to manage many risks, and heighten awareness about goings-on in the company. Let people know whether they’re meeting with their expectations. Reinforce the importance of success, and give your employees the opportunity to correct areas of weakness. Emphasize accountability, and stress the consequences for noncompliance. Document all key decisions and employee evaluations, establish written policies, make sure everyone gets a copy of your written policies and signs them, keep a written record of critical communications, and maintain all personnel records. Documentation is critical. I really enjoyed my internship period in Kims Corporation in Arapara, Savar, from the very first day. I am confident that this 3 three months internship program will definitely help me to understand real life situation which definitely will help in the job market. Performance analysis of Garments within this short time of my internship period is very difficult. But it is a great opportunity for me to get used to with the operational environment of human resource compliance of Kims Corporation. I have tried by soul to incorporate the necessary relevant information in my report. The Human Resource department should think newly about their compliance objectives and practices. As a developing Readymade Garments in Bangladesh, Kims Corporation shouldn’t allow their client to get dissatisfied with their product. They have their competitors who actively striving to take the advantages in every side. During the course of my practical orientation I have tried to learn the practical garments compliances to relate it with my theoretical knowledge, what I have gathered and going to acquire from various courses.